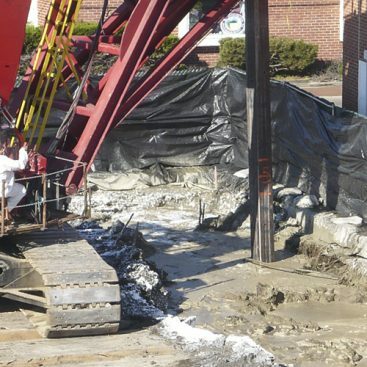 The purpose of this project was to use single auger soil mixing to improve the subsurface of a proposed bank. 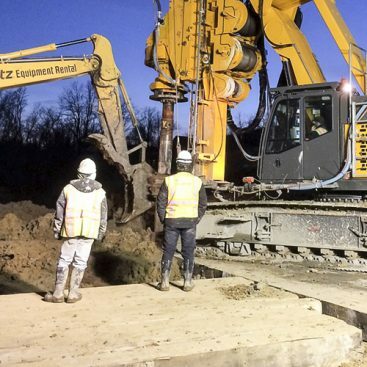 In addition to the ground improvement portion of the project, Geo-Solutions installed 872 CY of overlapping soil mixed columns for use as excavation support in lieu of sheet piling. 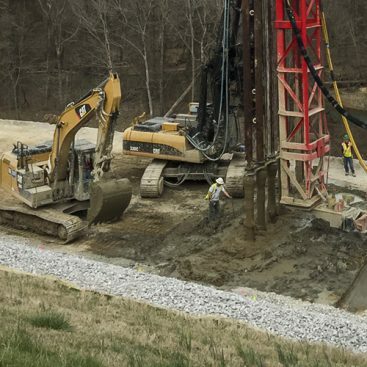 Geo-Solutions installed ground improvement and excavation support columns up to depths of 28’ BGS and keyed the columns into a shale bedrock that underlain the site. GSI used a 9’ diameter auger to install the excavation support columns and a 3’ diameter auger to install the ground improvement columns. For the construction effort Geo-Solutions provided all of the labor, equipment and materials for the soil mixing efforts. 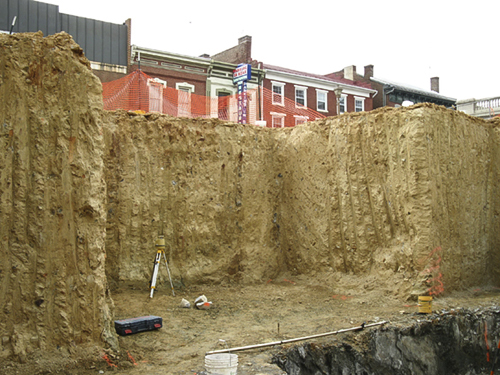 The excavation contractor supported Geo-Solutions construction team whenever necessary. The target strength for the soilcrete mixture was 100 psi which was met in all but one sample after less than 14 days of curing. 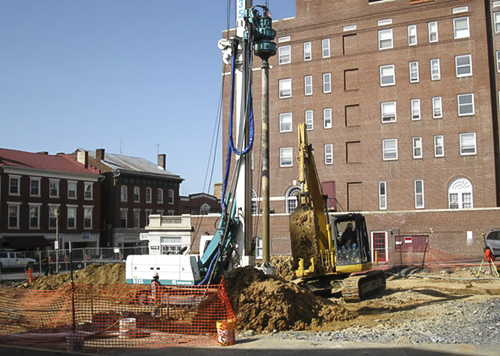 Once the 100 psi minimum design strength had been achieved, the excavation contractor began excavation of the basement of the bank. The owner and client were very pleased with the performance of Geo-Solutions’ 1,659 CY soilcrete retaining wall. All of the soil mixing was completed in 3.5 weeks.